materials: shade in frosted opal glass, base in casted iron with pole and fitting in black powder coated steel and black PVC cord. 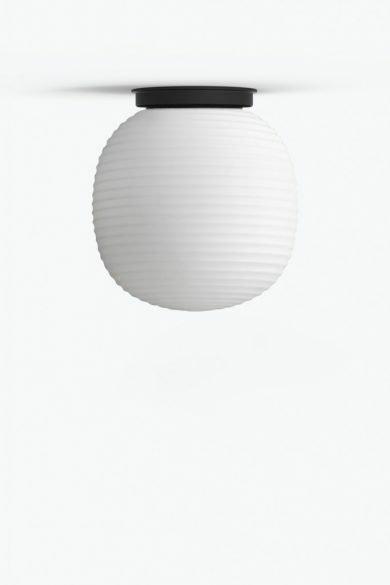 Expanding into every aspect of the contemporary interior, Lantern Globe (ceiling) Lamp completes this iconic series. It features simple black steel support and fixing that allows the soft illumination of the rippled glass globe to shine brightest. Inspired by traditional Chinese rice paper lanterns, these additions allow you to take the series into all corners of the home – from bedside to the entry, kitchen to the reading room.